Today I had my last Romanian class from 11:00am – 1:00pm. It was a good class but it was a bit hot to sit in class. I am amazed how fast this course went! I am so very thankful to be able to take a free Romanian course and I hope I will do well on my final exam tomorrow. Last night I spontaneously got the desire to go to camp with my former home church in Reghin when I lived in Târgu Mures so I sent an e-mail to my friends and to get some details about it. Then today I called the person who is in charge of signups for the camp to see if it is still possible to go and he said yes! Wow, this will be so great to be able to spend a week with my former home church and also spend time in God’s presence just seeking Him! I haven’t been to camp with them since 2009! So, now I’ll be going to two camps in July (the orphan camp from July 8 – 15 and the church camp from July 29 – August 4)! I also want to praise God for providing me a cat sitter for both camps already too! I am very grateful that my friend Ioana will take care of Minnie during those weeks I’ll be at camp and it’s great to know that she loves cats too! It’s official! 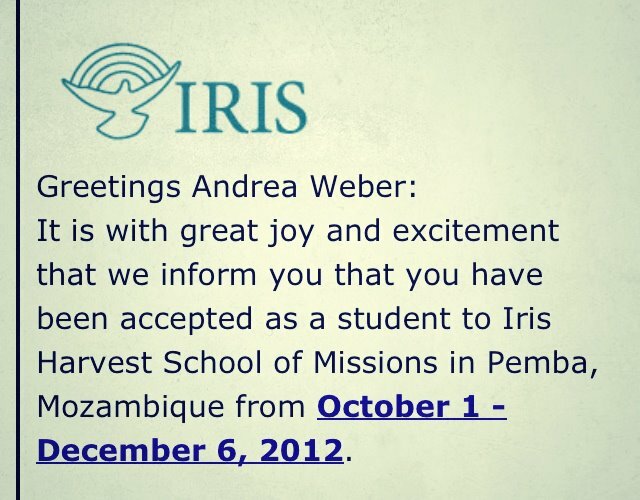 I got accepted to the Harvest Mission School in Mozambique!! Tonight I went to my church for our once a month prayer night vigil. It was from 10:00pm – 3:00am. It was an awesome service as we worshipped God, sought Him in prayer and my pastor preached a great sermon on “the glory of the latter house (Haggai 2:6-9). I asked if I could share a two minute testimony of my acceptance to the Harvest Mission School. I usually don’t like to speak in front of large groups of people but this time it was different because God filled me with so much joy and excitement that it was pretty evident on my face when I shared the good news! When everyone heard the news they also joined in praising God too for this great news! Then at the end we had individual prayer intercessory time where we were also anointed with oil. I also want to give God all the glory for how He touched me in such a powerful way and for the things that He impacted into my life too!! God is so very good!!!! !